The Holloway Raider is a Mid-Weight wind and water resistant jacket. Perfect for showing your colors on the sidelines or in the stands in the spring and fall. 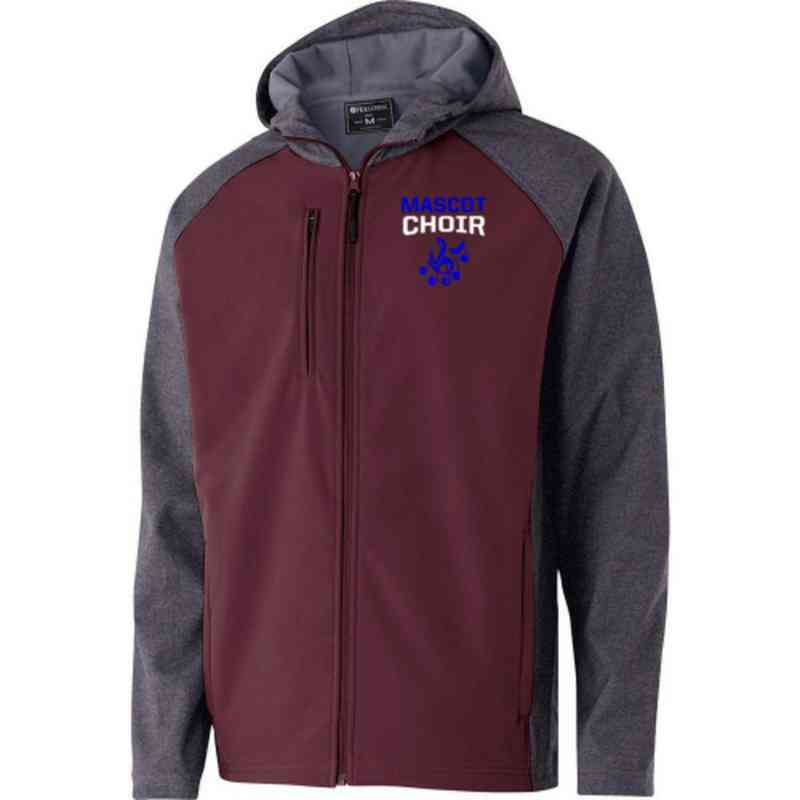 Carbon color accent makes for a great addition to your team and spirit wear collection. Lightweight, soft shell outer fabric;bonded to brushed jersey, Adjustable hood, Adjustable drop tail hem with hidden drawcord, Dual front and chest zippered pockets, Dual inside pockets, Classic Fit Style Manufacturer direct from a trusted supplier.